I was surprised to see so much time lag (1 sec.) in video start-up and clipping of 1.5 to 2-sec. off the end of each shot. ... You could learn to change your shooting habits to accommodate this, but it would be annoying. Well, if you have ever worked with tape camcorders, you must have such habits:) The time lag really exist on GH3, but it's essentially shorter than the same on GH2. Fully agree, a very good review to help people decide. Re: Fully agree, a very good review to help people decide. Thanks for all the work! Re: Panasonic GH3 review published / Thank you. No text. Re: About the EVF. / And what is strange. Re: Image quality / On the other way. Nice review, Gold Award, kudos to Panasonic! Re: Nice review, Gold Award, kudos to Panasonic! 44 Chipping a manual lens? 22 Anyone regretting purchasing g9? 18 Best prime lens for landscape / astro? 12 Olympus firmware upgrade - worth doing? 10 Polarised Sun Glasses and EM1 mkII. 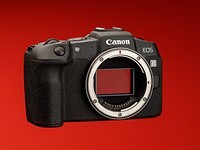 9 Death of Olympus AND Canon now? 5 CPL filter for Olympus 12-100 ?